Dancehall recording artist Eric Sommers more popularly known as Iyara has released a video for his blazing hot street anthem "Hustlin" which is currently climbing the Richie B Top 20 Singles Chart. Iyara who is a member of the Alliance Camp has been slowly making a name for himself on the local circuit with songs like "Rich Wi Fi Rich", "2009 Ah Mine" and "Got Alot Of Love" on the Honey Comb Riddim. 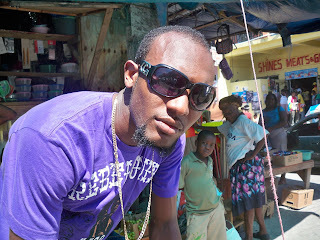 The song was produced by Rescue Productions and the video which is Iyara's second official project represents the everyday life of the average Jamaican who hustles to survive. The video which was shot on location in Iyara's home town of Portland and was brought to life by famed local director Ezra of 2Deep Media Productions.